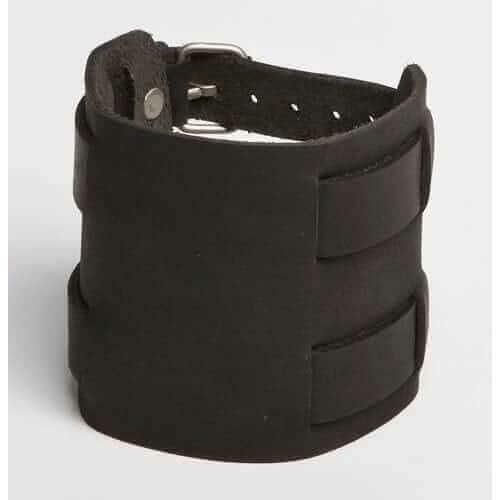 This cool black leather wristband for men or women features a section that covers two straps on the wristband, resembling a double overpass bridge. It also comes in a solid earthy brown color that matches with many outdoor concert events. Both of these stylish bands are made from 100% genuine cowhide leather, and they’re much more durable and flexible than the low-quality leather you find in many places. All our bands are covered by a full satisfaction guarantee or your money back. Check out this awesome leather wristband for yourself!